You’re exhausted. And cranky. You’re not sure if you’re just depressed and anxious, or if you’re depressed and anxious because you’ve been dealing with a massive headache all day. You’d give anything for a tub of Ben and Jerry’s and a bag of potato chips. Oh, and trying to stuff yourself into your favorite pair of jeans? Yeah right! Then it hits you. . .
Men, if you’re reading this and this sounds like you, we have other problems to deal with. But for you ladies out there, this is a classic case of PMS (Premenstrual Syndrome). You cannot lump all PMS scenarios into one category. Nor can you treat them all the same. The most common symptoms of PMS – A are anxiety (obviously), mood swings, weepiness, nervousness and irritability. You may also notice that periods tend to be heavy and you may even pass clots. This happens because as the female hormone cycle fluctuates, it is struggling overtime trying to get things in position for menstruation to occur. This is usually due to high estrogen and a sudden drop in progesterone combined with a difficulty in breaking down one or both of those hormones. In other words, you’re probably too high in estrogen and too low in progesterone (a form of estrogen dominance) and your body is freaking out. If you just can’t make enough trips to the vending machine, are experiencing strong cravings, especially for chocolate or other sweets, this PMS pattern is you. You may also have an increased appetite overall, eating more frequently throughout the day or helping yourself to extra portions at mealtime. Some of you may even feel a little “low blood sugar” experiencing shakiness, headaches, or irritability if you don’t get to eat on time. This type of PMS happens due to problems with your blood sugar metabolism. This may be something you struggle with on and ongoing basis that flares up even more premenstrually. 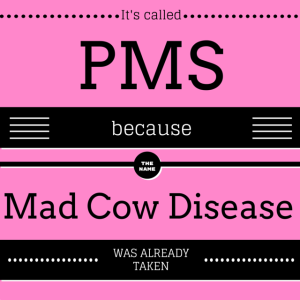 This type of PMS may be the least common but quite possibly the most debilitating. In addition to depression and tearfulness, you might just feel totally out-of-it and like you’re losing your mind. Confusion, forgetfulness, and becoming emotionally withdrawn often accompany the depression. Insomnia certainly doesn’t help. And in extreme cases, the PMS – D patient may even become temporarily suicidal. This is typically caused by overall low estrogen levels, which are further lowered in an attempt to prepare the body for menstruation. Do you gain 5 to 10 pounds right before your period? Then this is you. But the good news is that it’s just water weight. Water retention can look like swollen hands and fingers, ankles, face, eyelids, and for sure bloated bellies. Breast swelling and tenderness would also fit into this category. Some of this may be due to all the extra salty snacks you’ve been eating, but if that’s not the case, hormonal imbalance is likely your nemesis. It comes down to this: estrogen indirectly causes your body to retain water and progesterone acts like a diuretic. 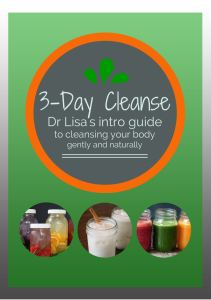 So if you have excess estrogen, or deficient progesterone, or both, you will feel like a sponge. Cramps are the obvious, but also included here can be headaches, low back pain, achy legs, or generalized joint pain. You may also just feel achy all over or flu-like. Pro-inflammatory prostaglandins are to blame here. In other words, you have inflammation and it’s like your body is on fire. Eat frequently, especially if you’re an A, C or D.
Now you can see why there isn’t a one-size-fits-all nutritional supplement for PMS. For each of the 5 distinct PMS categories, we have specific targeted nutritional supplements to address each set of symptoms. One girl may need help to elevate her body’s estrogen response while her best friend may need help breaking down the estrogen and getting it out of her body. Her sister may need relief from menstrual cramping, where her coworker may need something for those all-consuming sugar cravings. Another approach would be to run a Female Hormone Panel to know exactly how you should support your body throughout your entire menstrual cycle. If you suffer from any or all 5 categories of PMS, there is hope and there are natural non-toxic solutions. All you need to do is ask!